The NRA is fighting an assault weapon ban in Deerfield. 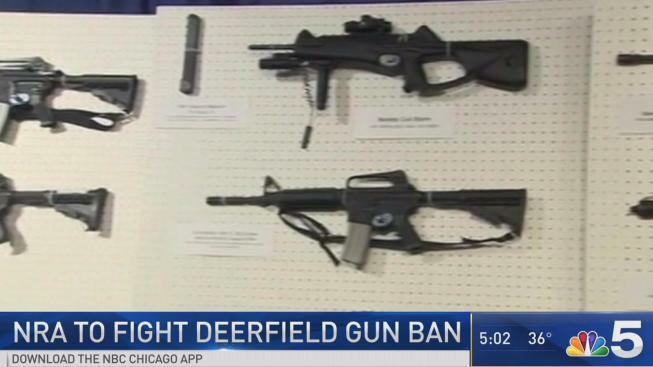 A Lake County judge has ruled that the Chicago suburb of Deerfield can't enact a ban on assault weapons. The Chicago Tribune reports that Judge Luis Berrones on Friday issued a permanent injunction blocking the village from enforcing the April 2018 ordinance. The Deerfield board had imposed the ban on weapons such as the AR-15, which has been used in mass shootings. The ordinance allowed fines of up to $1,000 a day. Gun-rights groups filed lawsuits against the ban, arguing Deerfield officials violated a state law that prohibits municipalities from enacting such bans after 2013. On Friday plaintiff attorneys said they were grateful the court "recognized the ordinances were unenforceable."